Marcato's Ravioli Attachment for forming, sealing, and cutting homemade pasta dough into ravioli with the Atlas Pasta Machine. 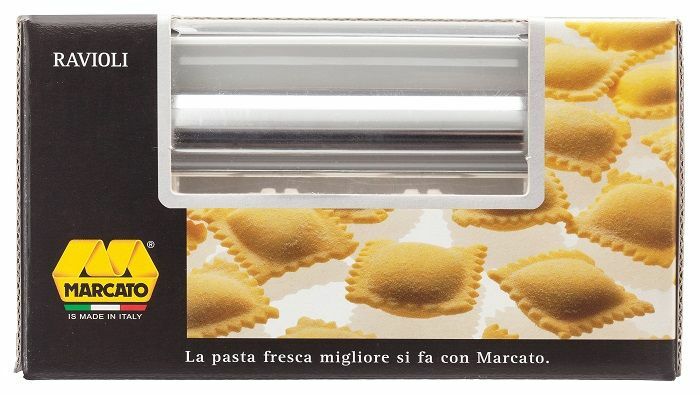 Made in Italy from stainless steel; includes Ravioli Attachment Pasta Cutter, instructions, and 10-year manufacturer's warranty. 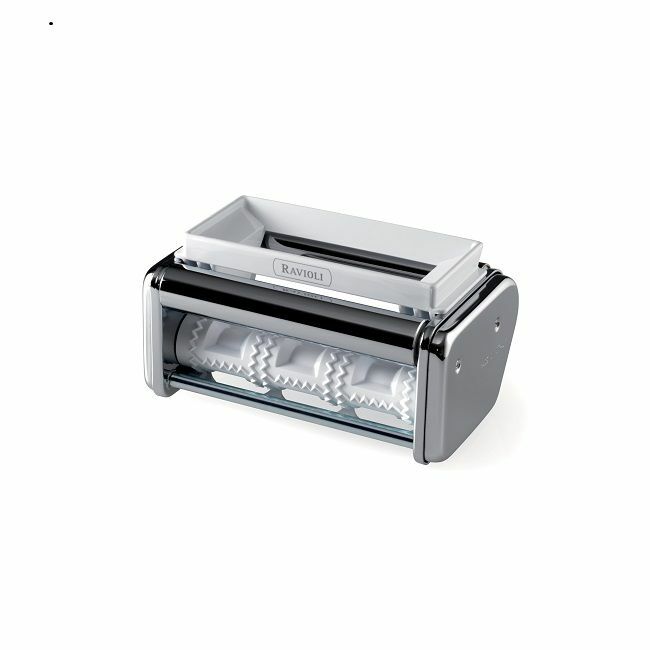 Forms, seals and cuts filled ravioli noodles; attaches easily to the Atlas Pasta Machine (sold separately) . Cuts dough evenly for consistent cook time and flavor; fresh pasta can be dried and stored for later use, or cooked and enjoyed immediately.